Minimal work for you. Maximum results from us. 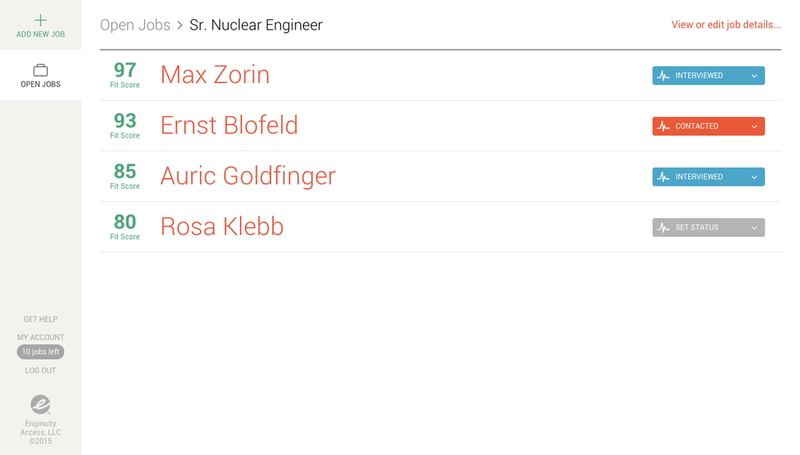 Our easy-to-use interface makes it a breeze to fill out the relevant engineering-specific job information. We help you ask all the right questions so you get the engineer that fits your job AND company. All the job basics including, location, required education, engineer type, experience, certifications, and of course the skills needed to do the job. What's your company/department culture? We ask the questions that make finding the right employee possible. What type of person are you looking for? Do they posses the right characteristics and personality to make a great fit? Using our proprietary software and candidate pool, our team of experts reviews and verifies the best matches for your job AND company culture. We rank each match with a Fit Score. View your top candidates along with all their information so you can schedule interviews. 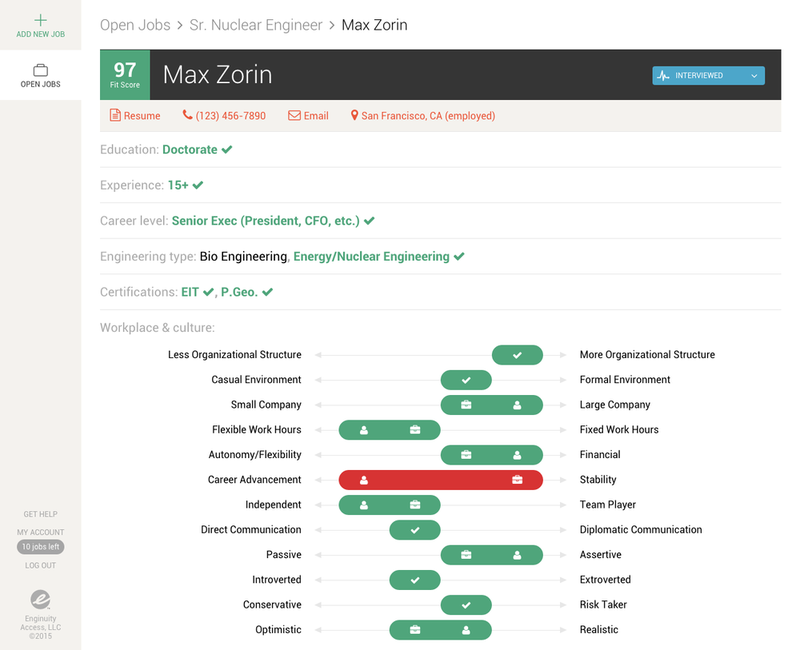 View candidates with the highest Fit Score for your job. 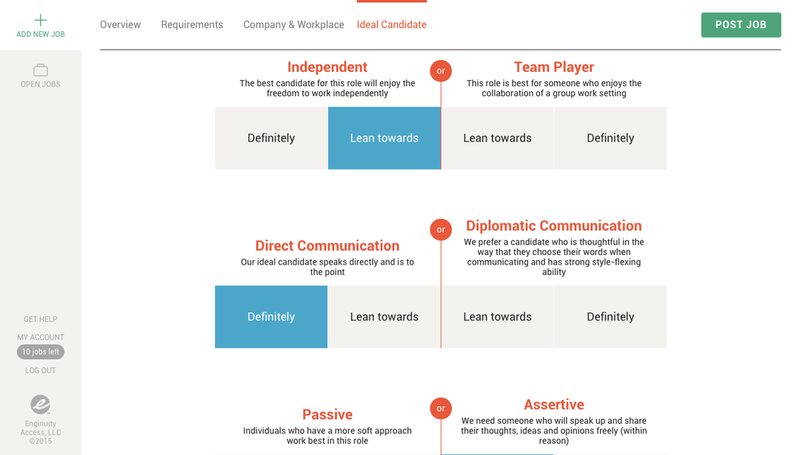 These candidates will meet minimum job qualification criteria PLUS match your company or team culture and values. 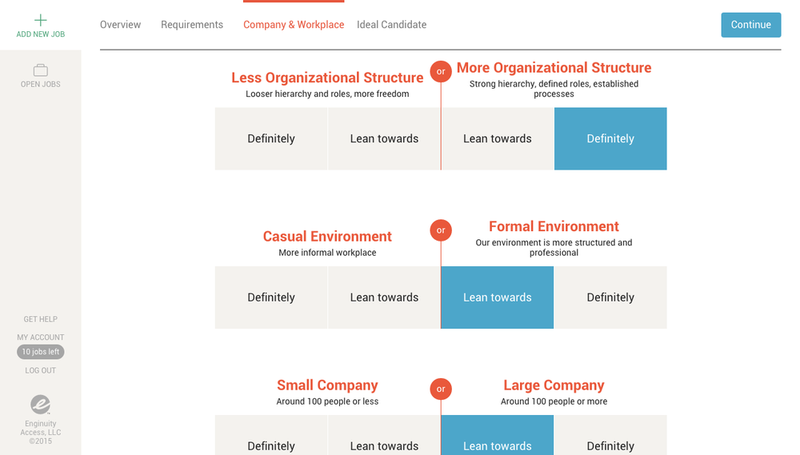 View each candidate’s specific details and how they match up with your cultural and job fit dimensions. This is a great tool to help your hiring team ask insightful questions during the interview process.